Professor Peter A. Joy is well known for his work in clinical legal education, legal ethics, criminal justice, and trial practice. As director of the Criminal Justice Clinic, he supervises student-lawyers who provide direct legal representation to clients and work with experienced public defenders on criminal matters. In addition to his clinical work and teaching, Professor Joy has written extensively and presented nationally and internationally on legal ethics, lawyer and judicial professionalism, clinical legal education, and access to justice issues. He served as Vice Dean from 2010 to 2012, and was the inaugural director of the law school’s Trial & Advocacy Program from 2002 to 2006. Professor Joy is a recipient of the Association of American Law Schools’ (AALS) Pincus Award for outstanding contribution to clinical legal education. 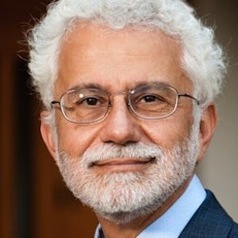 He currently is a member of the ABA Section of Legal Education and Admissions to the Bar's Accreditation Committee; and a former executive committee member of the Association of American Law Schools (AALS) Professional Responsibility Section, which he chaired in 2011; former chair of the AALS Section on Clinical Legal Education; a board member of the Society of American Law Teachers (SALT); former president of the Clinical Legal Education Association (CLEA); and former member of the Board of Editors of the Clinical Law Review from 2005-2011. He is a contributing editor of ABA Criminal Justice where he co-authors an ethics column. Before becoming a law professor, he was of counsel at Meckler & Meckler in Cleveland, Ohio, and he started his legal career as National Co-Director for the Law Students Civil Rights Research Council (LSCRRC) in Atlanta, Georgia. He has been recognized by LexisNexis Martindale-Hubbell as an AV Preeminent Rated Lawyer for more than 30 years.